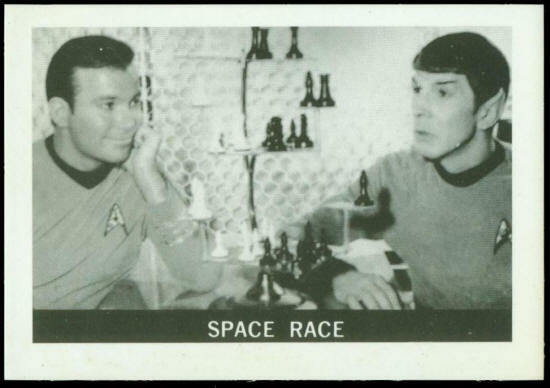 Kirk challenges Mr. Spock to a game of Space Chess. He is confident he can defeat the Vulcanian because he has the emotions of Earth Man. Pock plays with the cool, emotionlessness of his ancestry. To him it is a game of logic. 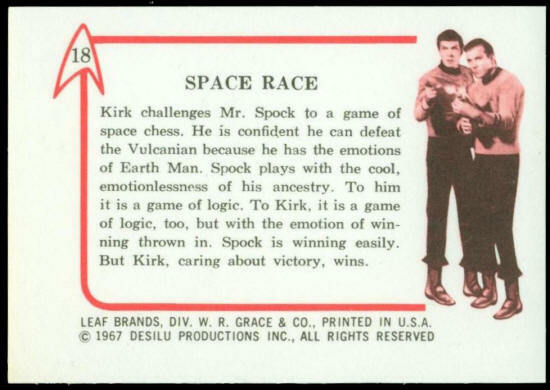 To Kirk, it is a game of logic, too, but with the emotion of winning thrown in. Spock is winning easily. But Kirk, caring about victory, wins.